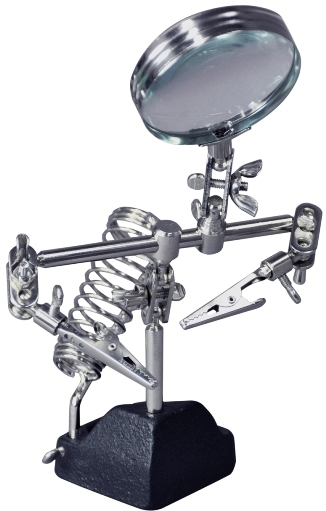 Helping hands tool featuring a round, 60 mm magnifier lens in a steel frame. With a weighted, heavy base for stability and 2 articulated arms with crocodile clips for gripping. This model also features an adjustable soldering iron rest, making it the ideal tool for electronics and other soldering projects.